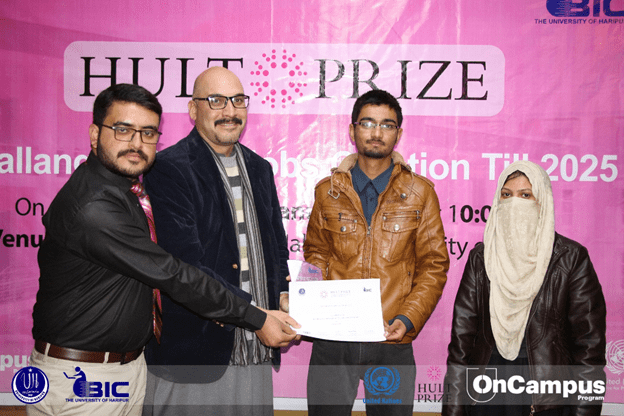 The team of hult Prize in the University of Haripur was worked hard for last month to conduct Hult Prize competition. 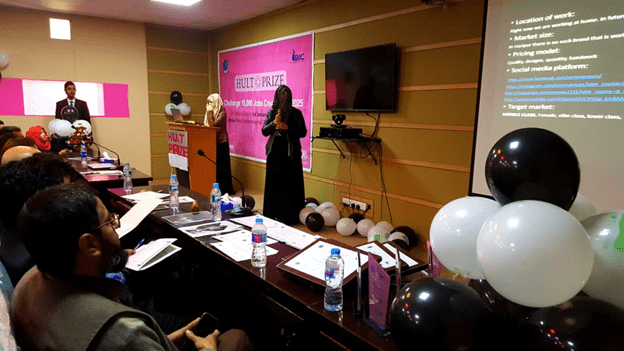 Before this competition, Hult Prize team arranged session for participants. Hult Prize is wonderful opportunity for the new thought mind of entrepreneur. The Hult Prize Business plan competition held every year around the world. 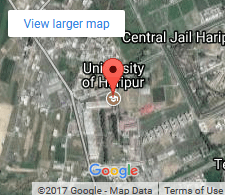 It’s an honor for us that The University of Haripur took this opportunity to provide world’s largest platform to students and incubates. Hult Prize competition having more than thousand partner universities around the globe. Hult Prize collaboration with United Nation to compete the SDGs goal of 2025. The aim of this competition to bring idea which have ability to generate ten thousand job till 2025 and having social impact on society. The top 3 teams will get invitation letter from of 25 regional cities to depend their ideas. Dr. Rehmat Zaman (Manager BIC), Ms. Neelam Akhtar (Executive Training Associate), and campus director from Malakand University were mentors for this whole activity. Chief Guest of the event was Prof. Dr. Abid Farid (Vice Chancellor), the University of Haripur and Dr. Muhammad Jahangir was the guest of this event. Judges for event were Dr. Daud Ali (Assistant Professor, the University of Haripur), Mr. Qazi Shujaat (Assistant Professor, the University of Haripur) and Mr. Zia ur Rehman (Assistant Professor, the University of Haripur). Campus Director of the event was Muhammad Yaseen Khan (MLT Department). Tashfeen Ahmad Malik along with all IT team supported this event. Fifteen teams out of the forty six selected for the final competition. On the day of event, top three selected after a very tough competition. All teams came with the outstanding ideas.